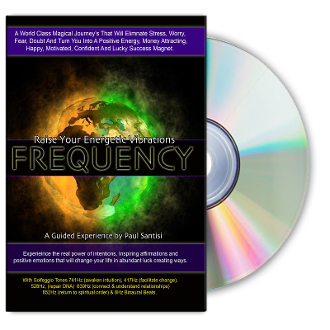 may you never be the same >> 2 CD SET Guided Meditation "FREQUENCY"
2 CD SET Guided Meditation "FREQUENCY"
NEW AND SPECTACULAR Guided Meditation by Paul Santisi. Deep Relaxation with Solfeggio Tones, Binaural Beats. Hundreds of subliminal affirmations the change your body's frequency and positive energetic vibrations.